What is the best cut-off point for screening gestational diabetes in Turkish women? To find an optimal threshold level with higher sensitivity and specificity for screening of gestational diabetes mellitus (GDM) in Turkish pregnant women. Materials and methods: This was a retrospective study. Screening for GDM was performed in all pregnant women between 24 and 28 weeks of gestation using the 1 h 50 g glucose challenge test (GCT) with a subsequent 3 h 100 g oral glucose tolerance test (OGTT) for confirmation if screened positive. The glucose values obtained were analyzed by both the Carpenter and Coustan (C&C criteria) and National Diabetes Data Group (NDDG) criteria. Results: There were 808 women meeting the study inclusion criteria. There were 66 (8.1%) women diagnosed with GDM using the C&C criteria and 45 (5.7%) using the NDDG criteria. The best cut-off point for GCT was 132 mg/dL for detecting GDM. No diabetes was found below the glucose level of 130 mg/dL. Conclusion: GCT is suitable for screening of Turkish women, but place of residence as well as race must be taken into consideration to establish the best cut-off level of GCT, since ethnic and environmental factors may contribute to the occurrence of GDM. Hanna FW, Peters JR. Screening for gestational diabetes: past, present and future. Diabet Med 2002; 19: 351-8. American Diabetes Association. Gestational diabetes mellitus. Diabetes Care 2003; 27: 88-90. Rodrigues S, Robinson E, Gray-Donald K. Prevalence of gestational diabetes mellitus among James Bay Cree women in northern Quebec. CMAJ 1999; 160: 1293-7. Ferrara A, Hedderson MM, Quesenberry CP, Selby JV. Prevalence of gestational diabetes mellitus detected by the National Diabetes Data Group or the Carpenter and Coustan plasma glucose thresholds. Diabetes Care 2002; 25: 1625-30. Dabelea D, Snell-Bergeon JK, Hartsfi eld CL, Bischoff KJ, Hamman RF, McDuffi e RS. Increasing prevalence of gestational diabetes mellitus (GDM) over time and by birth cohort: Kaiser Permanente of Colorado GDM Screening Program. Diabetes Care 2005; 28: 579-84. Evans MJ. Diabetes and pregnancy: a review of pathology. Br J Diabetes Vasc Dis 2009; 9: 201-6. Lindsay RS. Gestational diabetes: causes and consequences. Br J Diabetes Vasc Dis 2009; 9: 27-31. 8. American College of Obstetricians and Gynecologists (ACOG) Practice Bulletin No. 30. Clinical management guidelines for obstetrician-gynecologists. Gestational Diabetes. Washington DC: ACOG; September 2001. American Diabetes Association. Position statement: Standards of medical care in diabetes-2006. Diabetes Care 2006; 59: 1-39. Cousins L, Baxi L, Chez R, Coustan D, Gabbe S, Harris J et al. Screening recommendations for gestational diabetes mellitus. Am J Obstet Gynecol 1991; 165: 493-6. Friedman S, Khoury-Collado F, Dalloul M, Sherer DM, Abulafi a O. Glucose challenge test threshold values in screening for gestational diabetes among black women. Am J Obstet Gynecol 2006; 194: 46-8. Miyakoshi K, Tanaka M, Ueno K, Uehara K, Ishimoto H, Yoshimura Y. Cutoff value of 1 h, 50 g glucose challenge test for screening of gestational diabetes mellitus in a Japanese population. Diabetes Res Clin Pract 2003; 60: 63-7. Vitoratos N, Salamalekis E, Bettas P, Kalabokis D, Chrisikopoulos A. Which is the threshold glycose value for further investigation in pregnancy? Clin Exp Obstet Gynecol 1997; 24: 171-3. Tanir HM, Sener T, Gurer H, Kaya M. A ten-year gestational diabetes mellitus cohort at a university clinic of the mid- Anatolian region of Turkey. Clin Exp Obstet Gynecol 2005; 32: 241- 4. Carpenter MW, Coustan DR. Criteria for screening tests for gestational diabetes. Am J Obstet Gynecol 1982; 144: 768-73. National Diabetes Data Group. Classifi cation and diagnosis of diabetes mellitus and other categories of glucose intolerance. Diabetes 1979; 28: 1039-57. Agrawal S, Gupta AN. Gestational Diabetes. J Association Physicians India 1982; 30; 203. Narendra J, Munichoodappa C, Gurudas A, Ramprasad AV, Madhav T, Vijayalakshm N et al. Prevalence of glucose intolerance during pregnancy. Int J Diabetes Developing Countries 1991; 11: 2-4. Seshiah V, Balaji V, Madhuri S Balaji, Sanjeevi CB, Green A. Gestational Diabetes Mellitus in India. J Assoc Physic of India 2004; 52: 707-11. Diabetes Epidemiology Study Group in India (DESI). High prevalence of diabetes and impaired glucose tolerance in India. National Urban Diabetes Survey. Diabetologia 2001; 44: 1094- 101. Dornhorst A, Paterson CM, Nicholls JS, Wadsworth J, Chiu DC, Elkeles RS et al. High prevalence of gestational diabetes in women from ethnic minority groups. Diabet. Med 1992; 9: 820-5. Berkowitz GS, Lapinski RH, Wein R, Lee D. Race/ethnicity and other risk factors for gestational diabetes. Am J Epidemiol 1992; 135: 965-73. Green JR, Pawson IG, Schumacher LB, Perry J, Kretchmer N. Glucose tolerance in pregnancy: ethnic variation and infl uence of body habitus. Am. J. Obstet. Gynecol 1990; 163: 86-92. Fujimoto WY, Bergstrom RW, Boyko EJ, Kinyoun JL, Leonetti DL, Newell-Morris LL et al. Diabetes and diabetes risk factors in second- and third-generation Japanese Americans in Seattle, Washington. Diabetes Res Clin Pract 1994; 24: 43-52. Reichelt AJ, Spichler ER, Branchtein L, Nucci LB, Franco LJ, Schmidt MI. Fasting plasma glucose in a useful test for the detection of gestational diabetes. Brazilian Study of Gestational Diabetes (EBDG) Working Group. Diabetes Care 1998; 21: 1246-9. Alberti KGMM, Zimmett PZ. Defi nition, diagnosis and classifi cation of diabetes mellitus and its complications, Part 1: Diagnosis and classifi cation of diabetes mellitus. Diabetic Medicine 1998; 15: 539-53. Jang HC, Cho NH, Jung KB, Oh KS, Dooley SL, Metzger BE. Screening for gestational diabetes mellitus in Korea. Int J Gynaecol Obstet 1995; 51: 115-22. Yalcin HR, Zorlu CG. Th reshold value of glucose screening tests in pregnancy: could it be standardized for every population? Am J Perinatol 1996; 13: 317-20. Punthumapol C, Tekasakul P. 50 grams glucose challenge test for screening of gestational diabetes mellitus in each trimester in potential diabetic pregnancy. J Med Assoc Th ai 2008; 91: 787-93. Nahum GG, Huff aker BJ. Racial diff erences in oral glucose screening test results: establishing race-specifi c criteria for abnormality in pregnancy. Obstet Gynecol 1993; 81: 517-22. Eslamian L, Ramezani Z. Evaluation of a breakfast as screening test for the detection of gestational diabetes. Acta Medica Iranica 2008; 46: 43-46. Korucuoglu U, Biri A, Turkyilmaz E, Yildirim FD, IlhanM, Hirfanoglu IM et al. Glycemic levels with glucose loading test during pregnancy and its association with maternal and perinatal outcomes. Diabetes Research and Clinical Practice 2008; 80: 69-74. HAPO Study Cooperative Research Group; Metzger BE, Lowe LP, Dyer AR, Trimble ER, Chaovarindr U, Coustan DR et al. Hyperglycemia and adverse pregnancy outcomes. N Engl J Med 2008; 358: 1991-2002.
International Association of Diabetes and Pregnancy Study Groups Consensus Panel; Metzger BE, Gabbe SG, Persson B, Buchanan TA, Catalano PA, Damm P et al. International association of diabetes and pregnancy study groups recommendations on the diagnosis and classifi cation of hyperglycemia in pregnancy. Diabetes Care 2010; 33: 676-82. Flack JR, Ross GP, Barnes R, Jalaludin B, Payne J. Newly proposed diagnostic criteria for GDM: Review of outcomes and determination of risk. Th e 6th International Symposium on Diabetes and Pregnancy (March 23-26, Salzburg) 2011. Long H, Khalil M, Madarnas A. Is First Trimester Fasting Plasma Glucose (FPG) ≥ 5.1 mmol/L really a GDM equivalent? Th e 6th International Symposium on Diabetes and Pregnancy (March 23-26, Salzburg) 2011. Coustan DR, Carpenter MW. Th e diagnosis of gestational diabetes. Diabetes Care 1998; 21: 5-8. ISNAD KÖŞÜŞ, Aydın , KÖŞÜŞ, Nermin , TURHAN, Nilgün . "What is the best cut-off point for screening gestational diabetes in Turkish women?". 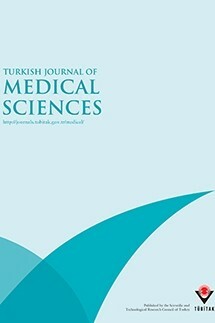 Turkish Journal of Medical Sciences 42 / 3 (March 2012): 523-531.